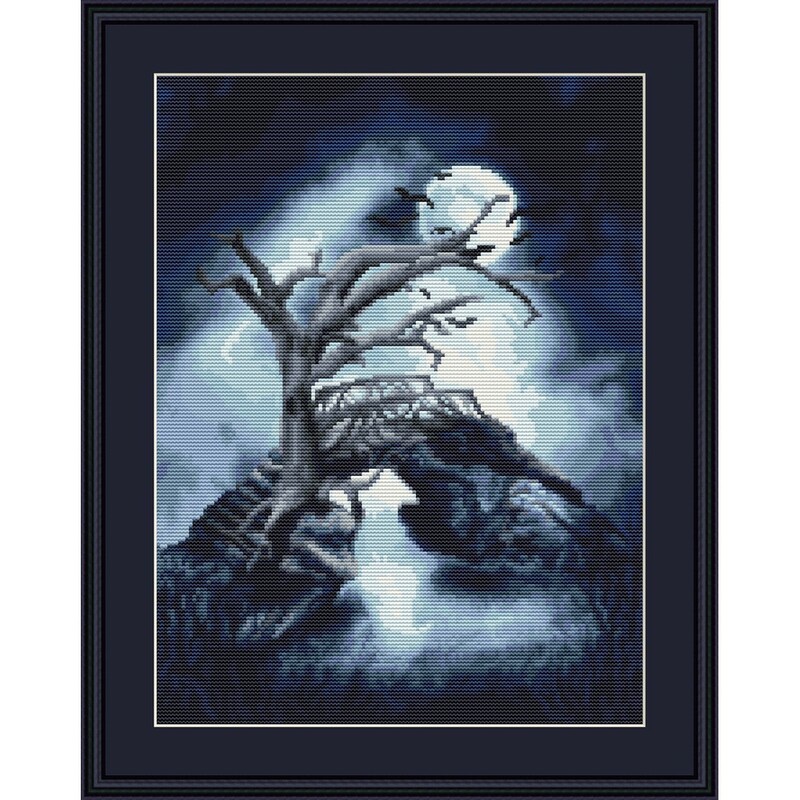 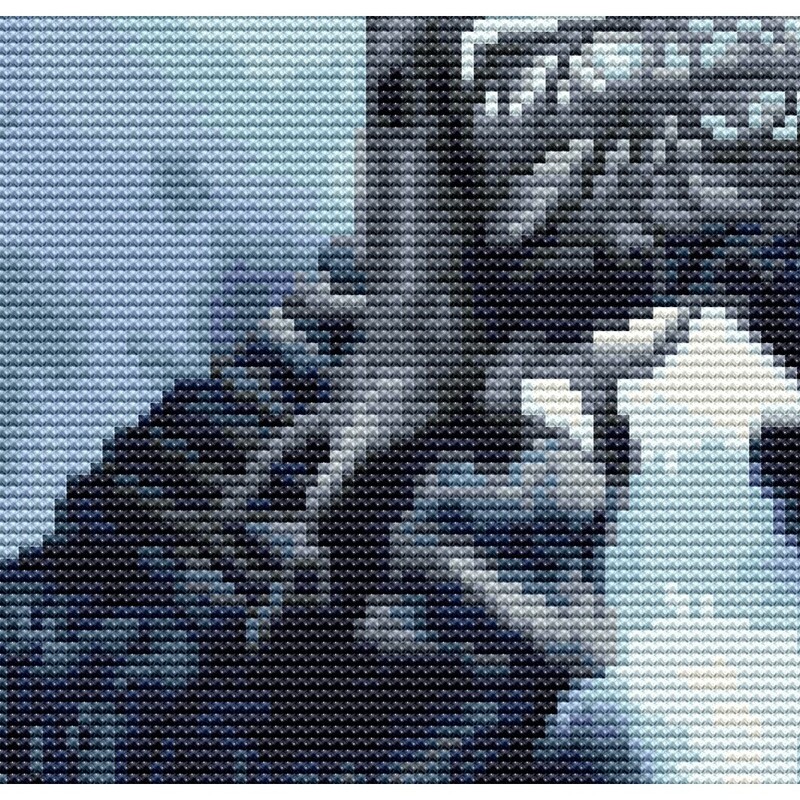 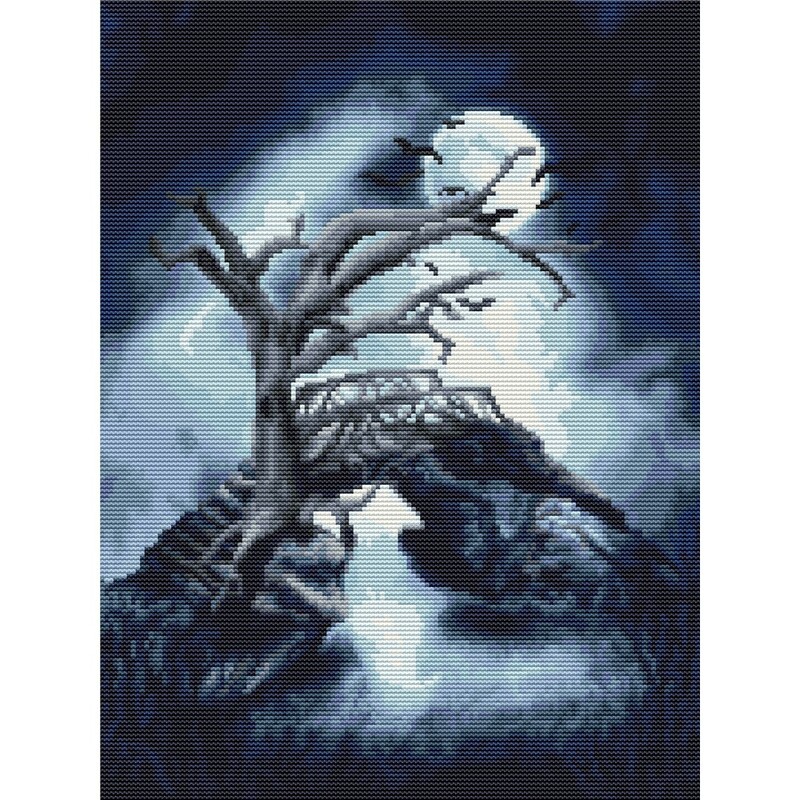 To the Other Side is a scary Halloween cross stitch kit of a creepy bridge. 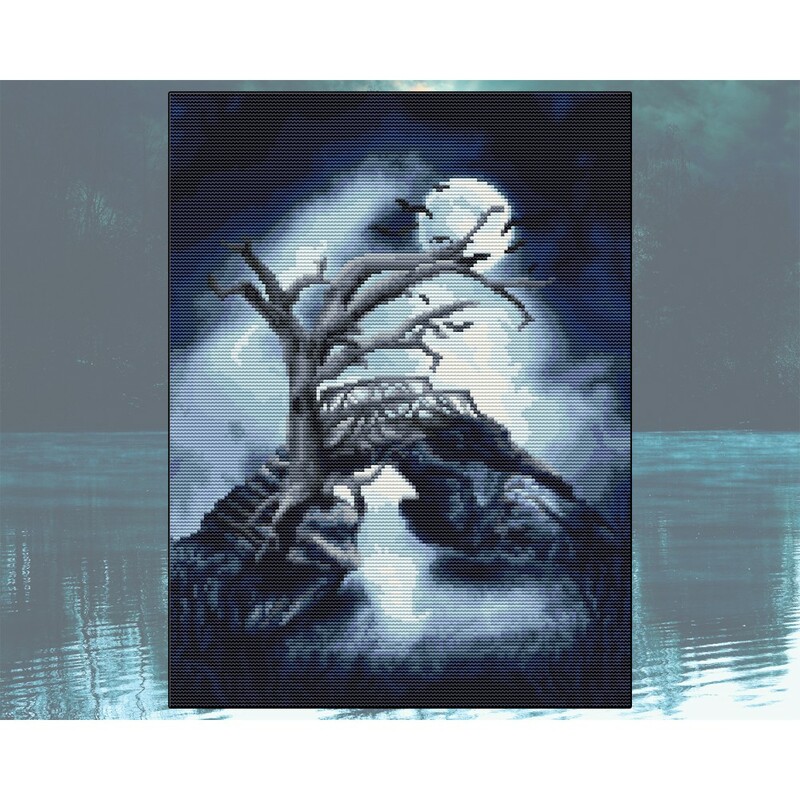 This bridge only appears on Halloween to connect our world with 'theirs'. 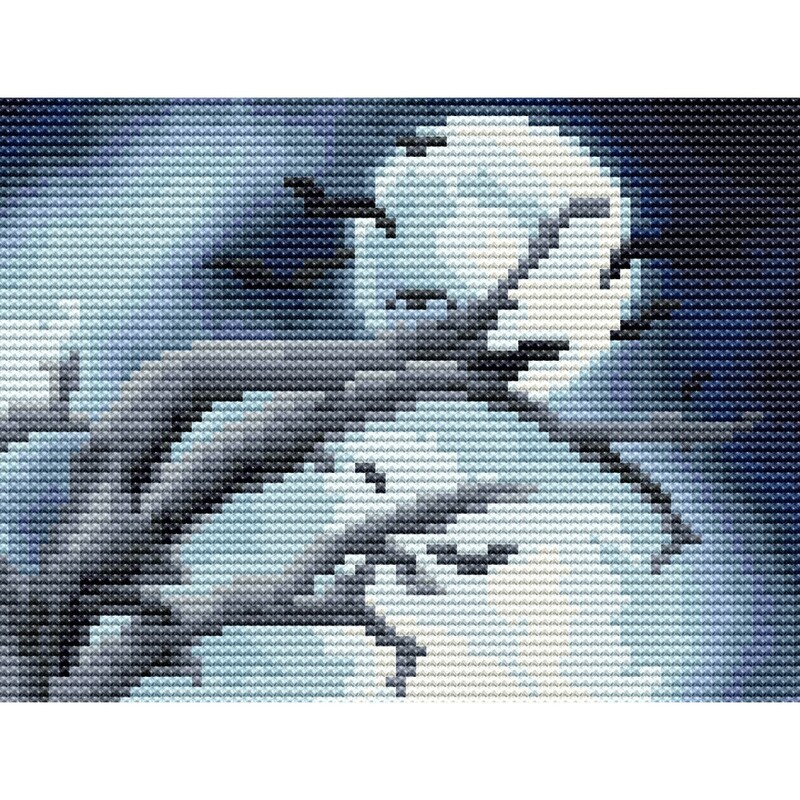 135 x 180 stitches and made on Iceblue aida by Zweigart with 24 colors of DMC floss.